Diesel fuel can be used for a lot of different things, but you do not have the same longevity with diesel fuel that you do with other types of fuel products. Typically, your diesel fuel is only going to remain useable for anywhere from six months up to a year. The lifespan goes down if you are not able to keep the diesel fuel dry and stored in a cool spot. If you want to be able to get the most out of your diesel fuel, then you need to learn how to keep it fresh for as long as possible. Here are some tips on doing just that. 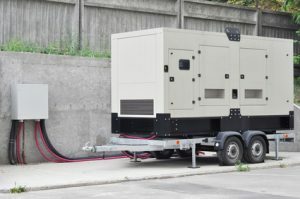 If you have a wide variety of vehicles on your property, having your own small supply of diesel fuel may be necessary. Diesel fuel powers a lot of different vehicles, aside from cars and small trucks on the road. Should you have large trucks or farming equipment, then diesel fuel is likely an important part of your existence. 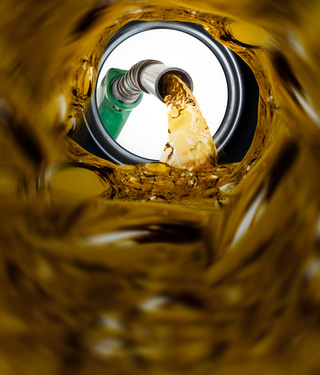 Here are some of the things you need to know about using diesel fuel. Diesel fuel engines are created slightly different than gasoline engines. They do not need to have spark plugs because diesel fuel ignites differently, and diesel fuel is also thicker than gasoline. That is what makes diesel an ideal option for larger engines, such as those in trains, combines, boats, buses, and heavy-duty generators. There are many reasons to store gasoline at your home or on your property. It can be used to power your tools, such as snowblowers and lawnmowers, you can add a little to your vehicle should you get low or should you be doing repairs on a vehicle that is not running yet, and it can also be used to power smaller vehicles such as snowmobiles and ATVs. If you are going to store any bit of gasoline on your property, there are a few things to keep in mind. Since gasoline is so highly flammable, it must be kept under specific conditions to keep you, your family, and those around you safe. Here are some tips to ensure that you are keeping your gasoline safely stored so everyone remains protected. Tip One: Find out how much you are legally allowed to store first. Most municipalities have a limit as to how much you can keep on your property, so before you bring any home, make sure you are keeping yourself under your limit. Tip Two: The tank or container you store your gasoline in must be certified for gasoline, and should be the color red. This is something that can be easily identified by everyone, making it safer simply by having it in the right colored container. Tip Three: Your gasoline must be kept at a consistent room temperature and kept away from things like the sun or any type of heat source. Even the fumes coming off the gasoline can ignite, so you need to make sure that there is no heat that could light the gasoline up. Tip Four: Only add gasoline to your tools or outdoor toys when everything is cool. If you add gasoline to a hot engine, it could be warm enough to light it up and cause a fire. Tip Five: Should there be any type of spill, rags, paper, or sawdust is the best option for soaking up the spill. Make sure that you take the right precautions when storing gasoline for home use. If you are not sure how to properly store it, then you should either ask your local gasoline delivery company or gas station for assistance, or not store it to be on the safe side. Protect yourself and those around you by making sure to only store gasoline the right way. Gasoline is a refined form of crude oil, which most people know, but there are a lot of aspects of gasoline that most people are blissfully unaware of. There are some really interesting facts about gasoline that most people don’t have any idea of. In fact, some of the myths about gasoline are actually completely inaccurate, but the truths can be just as fascinating, if not more so. Here are some unusual things that you can learn, that you can then stump your friends with, at your next trivia night. A lot of people think crude oil comes from fossilized dinosaurs. This is completely inaccurate. One of the biggest sources of crude oil is actually from pond scum. The oil that bubbled up from beneath the surface of the earth was later eaten by the bacteria that formed pond scum. In order to get the oil out of it, the pond scum must be pressure cooked. Bet you never look at your mother’s pressure cooker the same. Evening is the best time of the day to buy gasoline. It’s true! Gas pumps measure how much a gallon is by volume, and since gasoline becomes a bit denser as it cools, you will actually get a bit more gas if you head to the pump during the nighttime hours. When Americans first found crude oil, they didn’t know what it was for, so they industriously bottled it and sold it to the unsuspecting public as a health tonic. Yum! If your gas cap is old and loose, you can lose as much as a whopping 30 gallons of gas a year simply from the vapors that escape the cap. That’s a lot of gas to just let go of. Having your windows open when you are driving at a high speed can cause so much drag, you can lose as much as 10% of your vehicle’s total fuel economy. Next time, stop waving your hand in the breeze and kick on the vents. Gasoline is not an easy recipe to put together. Depending on which brand you buy, you are buying anywhere between 150 and 1,000 different ingredients mixed in with your gas. There are enough pipelines for fuel within the United States to make it halfway to the moon. Now that your mind has been filled with useful, interesting, and confusing facts about gasoline, go stump your friends and see which facts they get right! You probably don’t think much about the fuel oil you use during your day to day life. You don’t think about it until it becomes hard to get. We use fuel oil for many different areas of our daily lives. 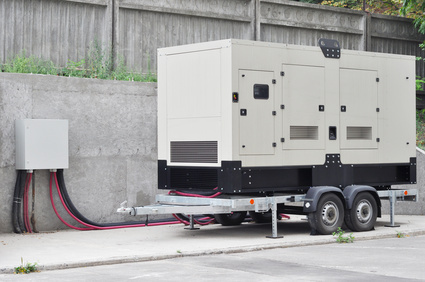 It’s used for power in our cars, heating our homes and powering appliances and machines. Have you ever wondered where all this oil is coming from? Fuel oil is derived from fossil fuels. Fossil fuel, to put it bluntly, is the material left from the decomposition of living organisms. These living organisms have been buried deep in the earth for millions of years. 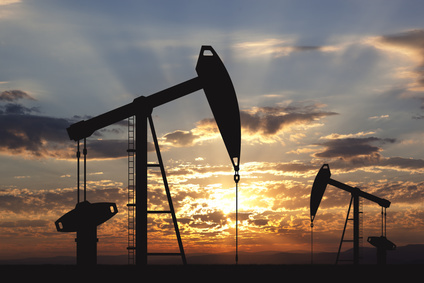 The earliest oil wells were in China around 347 A.D. Oil pits were near Babylon around 4 thousand years ago and asphalt was made using the oil. Asphalt was used on the buildings of Babylon. Little by little, more uses for this oil were discovered. It was discovered that oil was flammable and a good source of heat for cooking and warmth. Whale oil was also used for this purpose. The demand for fuel oil increased with the spread of oil lamps and the invention of the combustible engine. Not much thought was given to the amount of fossil fuel available for consumption until the energy crisis of the 1970’s when many people began to realize that fossil fuel was not an infinite source of energy. It was realized that there will come and end to the supply of fossil fuel. Different sources of energy needed to be found. Fossil fuel is found almost in every country. Did you know the top 3 oil producing countries are Russia, the United States and Saudi Arabia? There are also fossil fuel reserves in Venezuela. The Middle East supplies about 80% of all readily available oil. 90% of all the fuel used in today’s vehicles is met with the use of oil. And 40% of all energy usage in the United States is petroleum. Many different kinds of energy sources are being investigated to relieve the dependency on fossil fuel. Solar energy, energy from the wind, water generated power and electric powers are all viable options. In the meantime, manufacturers of cars and other engines that need fuel oil are working to become more energy efficient. Not only does this help stretch the fossil fuel reserves we have but cuts the costs to the consumer.